"I have been in Sorrow's kitchen and licked out all the pots. Then I have stood on the peaky mountain wrapped in rainbows with a harp and a sword in my hands." First published in 1942 at the crest of her popularity, this is Zora Neale Hurston's unrestrained account of her rise from childhood poverty in the rural South to prominence among the leading artists and intellectuals of the Harlem Renaissance. 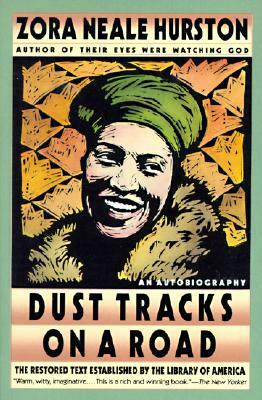 Full of wit and wisdom, and audaciously spirited, "Dust Tracks on a Road" offers a rare, poignant glimpse of the life -- public and private -- of a premier African-American writer, artist, anthropologist and champion of the black heritage.